Data analytics and convergence/disruption are the top two trends impacting CFO’s longer-term business strategy, according to Deloitte CFO Signals™ Q4 2017 Report. And, “agility” is the word Pascal Corcos, Partner, PwC Consulting, Finance heard the most in the new edition of this year’s Chief Financial Officers – Priorities in 2018 survey. Across the board, studies are showing that the finance leadership role has changed over the last five years. Even as finance leaders are asked to do more with less, they are expected to deliver strategic insight to the leadership team across rapidly changing priorities. Business planning and strategic forecasting are skills that are increasingly getting more scrutiny, though they may be a newer expectation for traditional finance professionals. At the core of FP&A, strategic-thinking CEO’s and CFO’s expect more than traditional accounting and reporting. 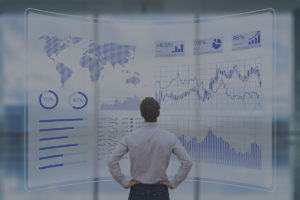 If a finance leader, for example, is being asked to save the business 25% in operations costs while delivering the same results, that leader has to demonstrate great agility in finding new ways to manage the workload—while still offering data-driven insight that helps grow the business.